As Dear John begins, at first the casting seems a bit too on-the-nose given the fact that G.I. Joe and Stop-Loss actor Channing Tatum certainly knows how to salute with the best of the Army and Amanda Seyfried just keeps sending mail (Mamma Mia!, Letters to Juliet). However, once you get into the movie, you realize that by-George... er, rather Nicholas Sparks, director Lasse Hallstrom has managed to hook you once again in this gorgeously photographed nostalgic love story that feels like a throwback to light melodrama of the 1950s. And while that would normally be a criticism for anyone else other than Hallstrom, since he excels at finding a balance in sentimentality, Dear John pulls it off extraordinarily well in what I found to be a surprisingly good heart-tugging romance that wasn't bogged down heavily by the blatant who's-going-to-die-now attitude of some of author Sparks' previous movie adaptations. 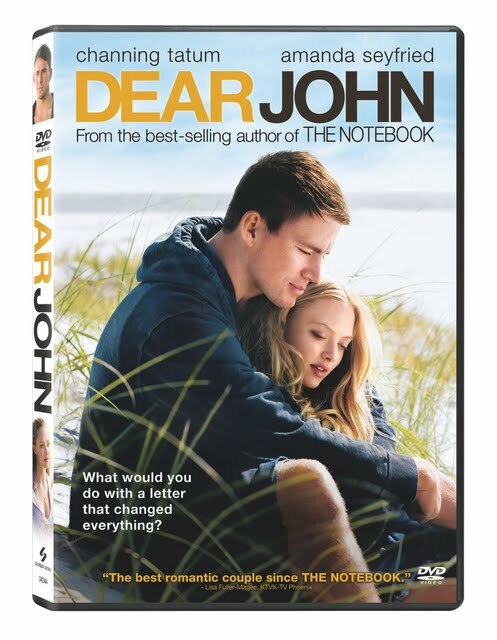 Perhaps the most successful adaptation of his work since the underrated, heart-wrenching Message in a Bottle, Dear John works better than some of the rest since like Bottle, it's filled chock full of interesting subplots that strengthen the romantic main plot. And in one case, a subplot about father and son threatens to grab our attention even more than the primary love story as soldier on leave, John Tyree (Channing Tatum) returns to his southern home where he unexpectedly falls in love with a sunny idealistic college student named Savannah (Amanda Seyfried). 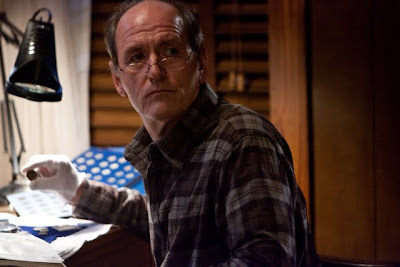 With a strained relationship with his reclusive coin-collecting father (a superb Richard Jenkins) reminding John of what he's left behind or has been running away from, he finds himself increasingly running towards Savannah for two weeks of Spring Break wherein the young couple fall in love and forge a deep connection that continues after they separate and decide to correspond by numbered letters since there's no guarantee what order in which they'll arrive when you're sending overseas. However, their relationship is tested after news of 9/11 breaks and, torn between the end of his tour in the military and life with Savannah verses fighting in Afghanistan, Tatum's John realizes he can't abandon his unit no matter how much he longs to return home. And although – with the benefit of hindsight – that sequence is handled a little too briskly both emotionally and logically as somehow he's able to return home to the U.S. and she can meet him at the airport as if nothing has changed, the lovely thing about Dear John is that it doesn't immediately go in the directions which you assumed it'd be heading as life intervenes and they struggle in their commitment to one another so many thousands of miles apart. 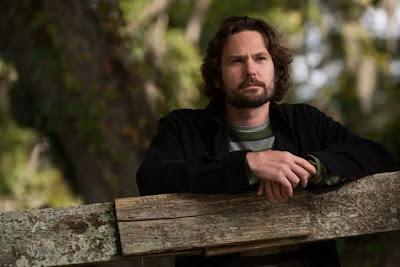 Featuring great subtle turns by both Jenkins and a nice, long overdue quality part for actor Henry Thomas (Legends of the Fall), although it suffers a few bumps near the end both in the included finale and the DVD's alternate ending which I liked a bit better despite its over-sentimentality, Hallstrom's beautifully realized romance proved to be far more successful than most Sparks adaptations thanks to the intelligent handling of the script by both the filmmaker and its writer Jamie Linden.